Giving Tuesday — the annual day when we set aside shopping to remember and support our most cherished causes — is November 27th. Many causes are worthy of support on Giving Tuesday. We’re grateful that you are among the thoughtful group of people who appreciate the powerful and positive impact of the Kentucky Folklfie Program on all our lives. 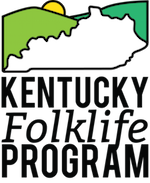 We ask that you include the Kentucky Folklife Program in your giving on November 27th. Your contributions make a huge difference in the lives of our many partners and constituents we serve across the Commonwealth of Kentucky. Every gift, no matter the size, helps to ensure that we can continue to do our excellent work with the communities we serve. Make your contribution now by following the link below. Your support is valued and appreciated!